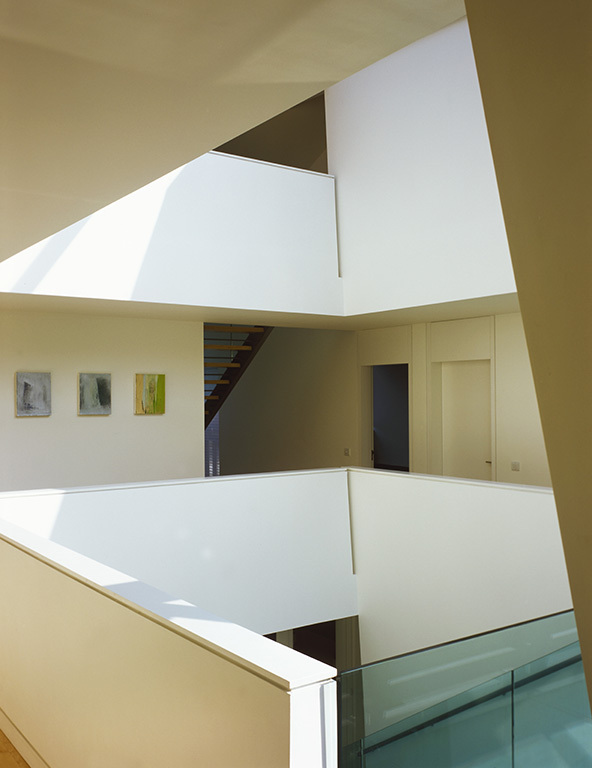 Sheldon Avenue is a contemporary house in a conservation area in Hampstead. 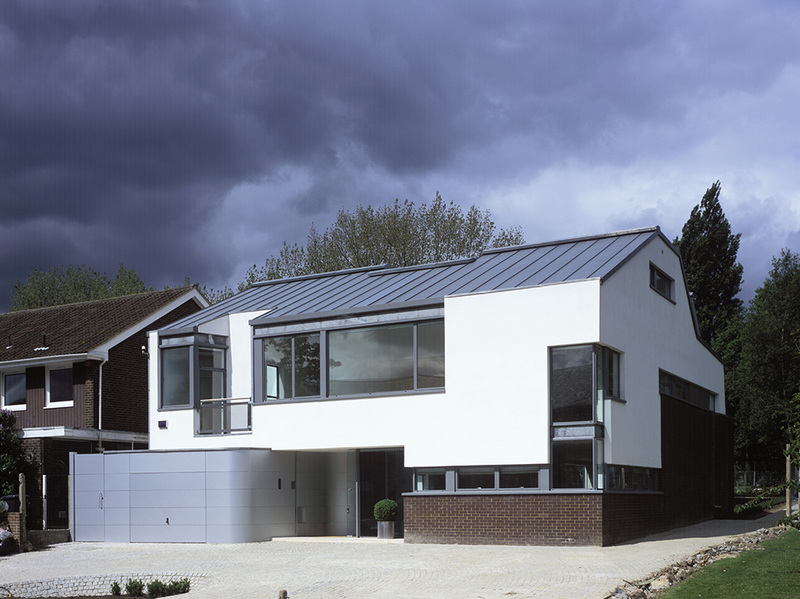 In order to respect neighbouring properties, the front elevation combines a traditional silhouette with an unmistakably contemporary composition. It is at the rear of the house, however, where the real drama is revealed. 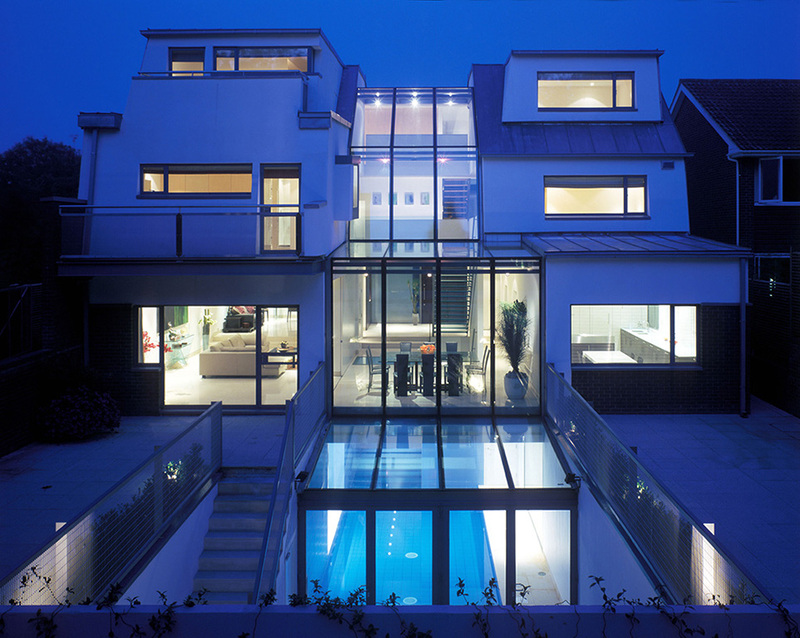 The U-shaped layout of the house is arranged around a fully glazed triple height atrium. 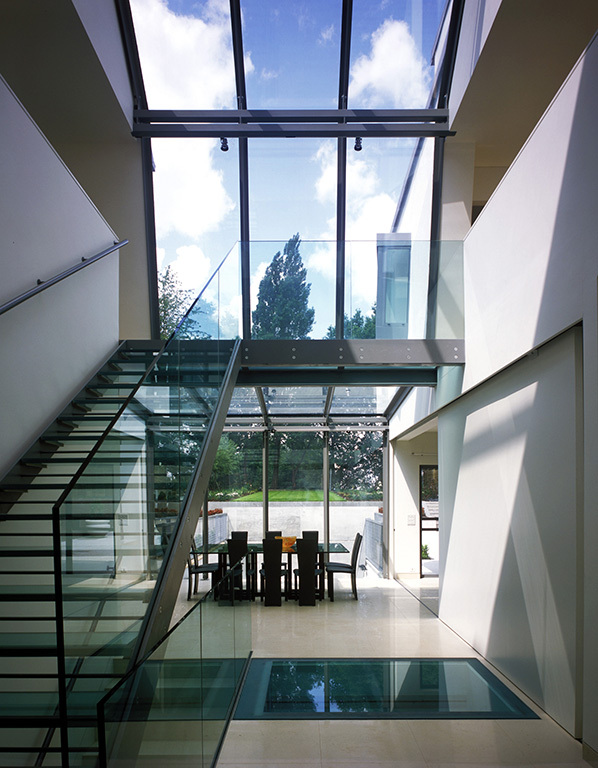 This brings daylight into the heart of the house and gives uninterrupted views to the garden and landscape beyond. 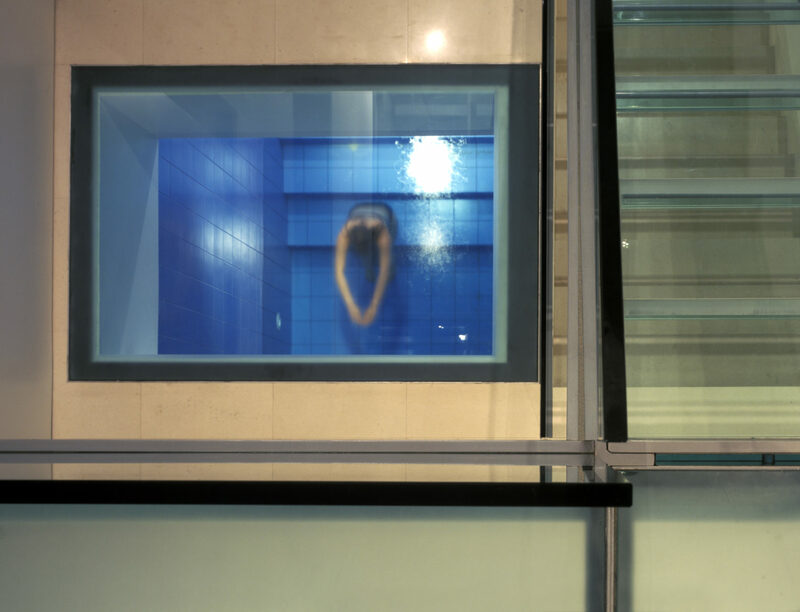 Its ziggurat-like profile contains a swimming pool at the lower ground floor, bright living and circulation spaces, and brings light into the central staircase and bedrooms above. 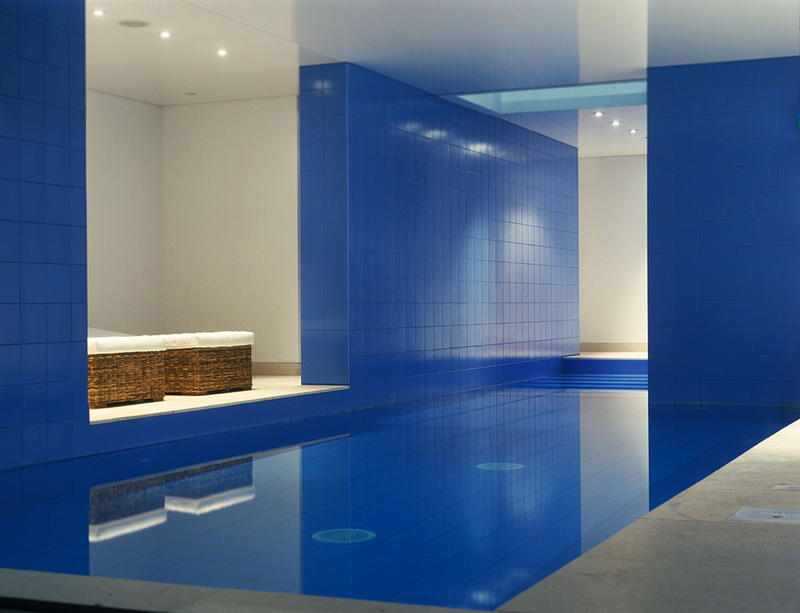 More intimate spaces such as bedrooms and bathrooms are arranged on either side of this large open space. The house combines smaller rooms and spaces for retreat, rest and contemplation, with generous open areas for meeting, entertaining and relaxing. 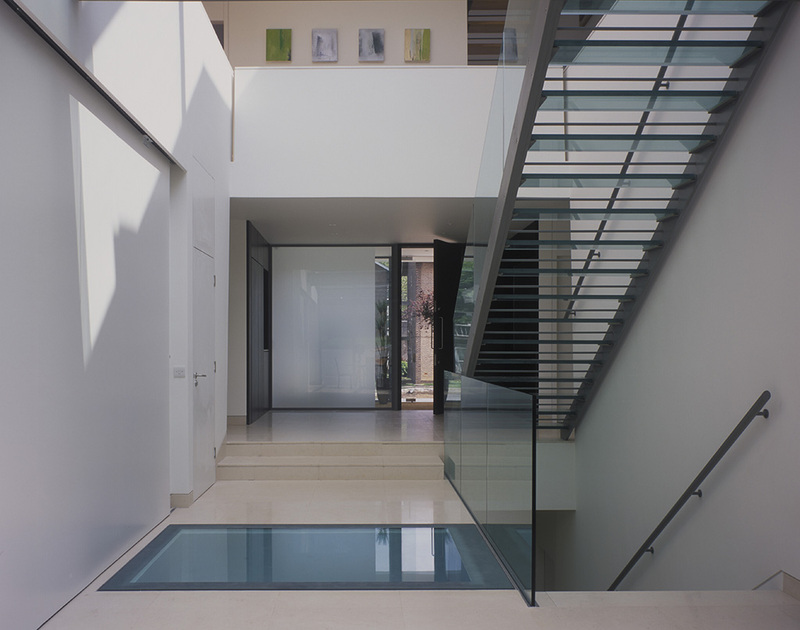 The atrium, with its steel and glass staircase, successfully brings these different characteristics together.